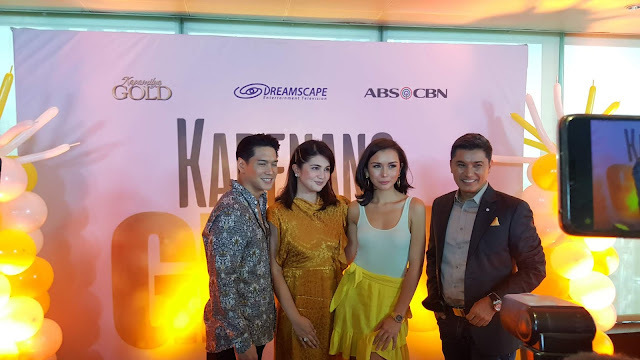 A family drama to get us all glued again on TV will start on Monday October 8 on Kapamilya Gold. 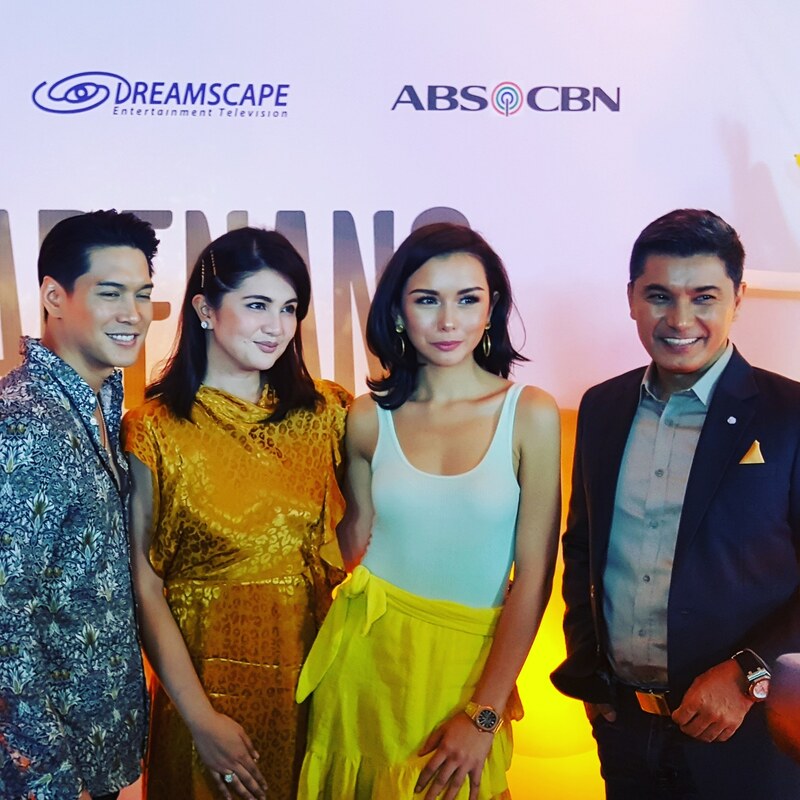 DreamscapePH's Kadenang Ginto stars Beauty Gonzales as Romina, Adrian Alandy as Carlos, Albert Martinez as Robert and Dimples Romana as Daniela. 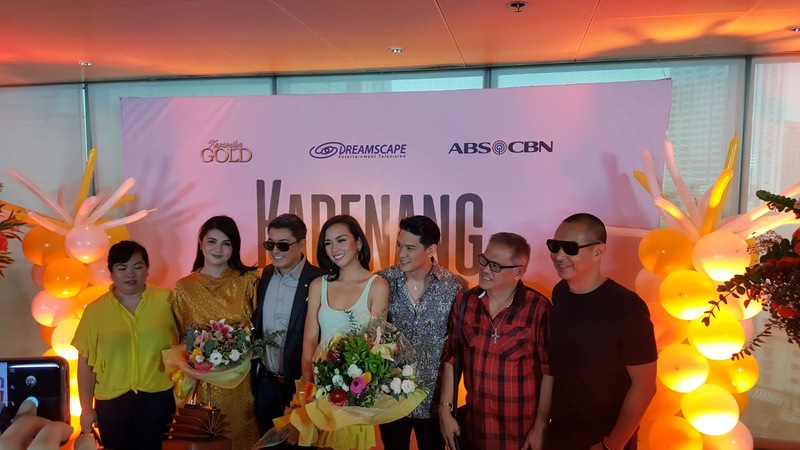 Two of the brightest teen stars Francine Diaz and Andrea Brillantes will be revealed as daughters of Romina and Daniela. Directed by Jerry Lopez Sineneng, Kadenang Ginto will also be joined by Eula Valdez, Ronnie Lazaro, Luke Conde, Nikko Natividad, Adrian Lindayag, Kat Galang and Savannah Rosales. We were able to watch the first episode and we were all shouting at the check scene when Daniela (Dimples) confronted Romina (Beauty). After the preview, the lead stars gave us an opportunity for a short interview, Dimples was all excited being the feisty villain against Beauty who was all grateful for the big comeback after a long hiatus from showbiz. The Luis we all know now as Adrian Alandy explained that both names are his real names and noticed more opportunities now being called Adrian.